A state of the art digital security camera system that monitors our property. An automatic gating system that allows access during our posted hours. A fully fenced, well-lit facility. For your convenience, we have locks for sale in our office. 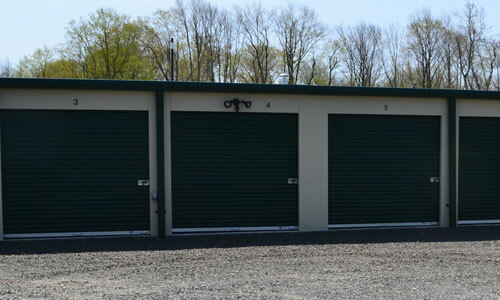 Our Standard units are great for storing a variety of items including motor vehicles. Contact us today and we’ll help you determine the right size and unit type for your unique storage needs! Closet size. Perfect for seasonal storage such as sports equipment, holiday decorations, filing cabinets and boxes. Outdoor furniture, lawn and garden supplies, bicycles, motorcycles. Contents of a one-bedroom apartment without appliances. Contents of a two-bedroom home with appliances. 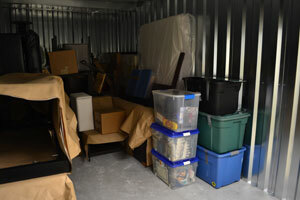 Contents of a mid-size moving van. Great for car storage. Contents of a large three-bedroom home. Contents of a large house with doors at both ends of the unit for convenient access. Good for RVs, boats, trailers.